Regardless of the score it was a beautiful night for baseball. 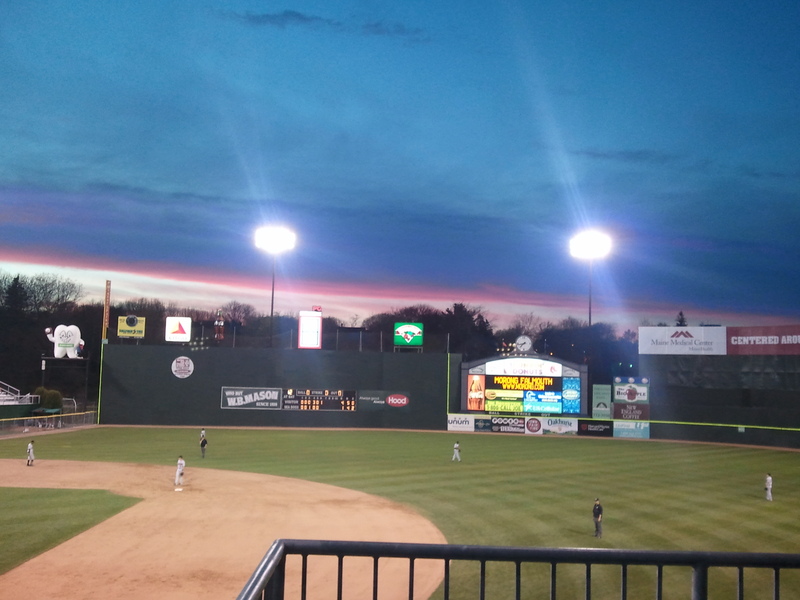 Here is a shot of the sky over the Maine Monster around the 6th inning. Noon time start tomorrow. Gates open at 10:30am****. Uh, if the game starts at noon, shouldn’t the gates open a little earlier? You are 1000% percent correct, thank you! 10:30am gates open. Lesson learned…blogging after a night game should be prohibited.